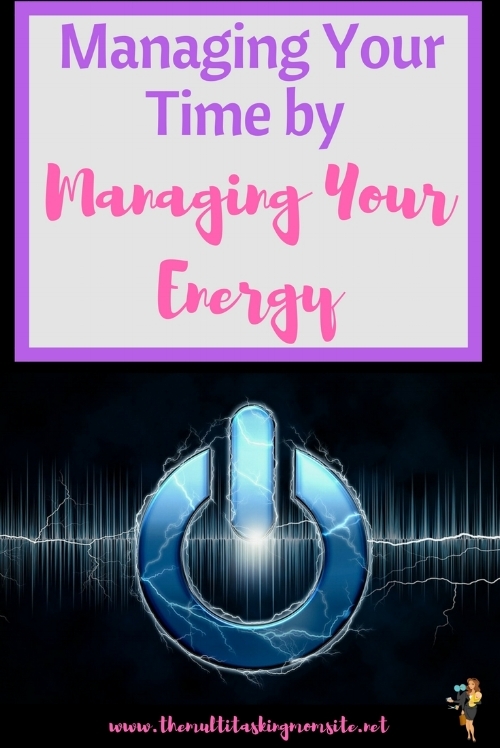 Everyone talks about time management, but not a lot of people talk about energy management. We want to save time, be more productive, and get more done. But, these two ideas are actually very closely related. By allowing your energy levels to dictate what you do when, you will be able to maximize what gets done when you are at your best. It's a fact. Our energy levels ebb and flow throughout the day. At some points during the day you are ready to go, and at others, you are just dying for a break, or a snack, or a nap. You may also see the difference in your energy levels during your time of the month. Due to pregnancy and breast feeding and then pregnancy again, I've only gotten my period twice since July 2015. But I still recall my energy levels significantly dropping during the first few days of that time of the month. This is definitely something you should account for when planning your weeks and months. Take a few days and pay attention to how your energy changes throughout the day. Make note of the times when you are feeling fresh and focused and when you are feeling less than energized. It's time to start using this to our advantage. Once you know your energy patterns, you can make this information work for you. As much as possible, try to schedule your tasks that require more creativity or deeper thought or more focus when your energy is at it's peak. You will be so much more efficient when you perform these tasks. On the flip side, schedule less consuming tasks for when your energy is lower. This might mean you schedule your report writing, or blog post creation or crafting for when you are high energy. On the other hand, you can reserve email reading or social media scheduling or bill paying when your energy is lower. Have you ever tried to be super creative when you are on the first day of PMS? You are so unmotivated, you don't know where to start, and it takes forever to come up with brilliant ideas. Try not to plan those kinds of activities when you know your energy will be down. It's such a time waster. Use your low energy time to get done the things that don't require much brain power. It's less taxing and a much better use of your time. What can you get done during your low energy time so that you can save your energy for the tasks that really need it? Let me know in the comments.